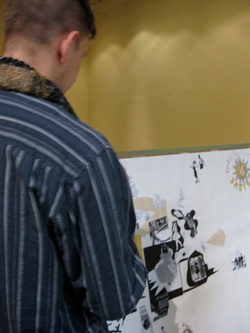 This Project was a part of the Salon Series on 2010 at the SDMA. 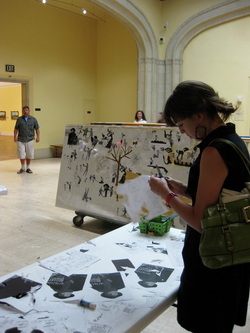 Artists were invited to create work for the museum, including interactive pieces. 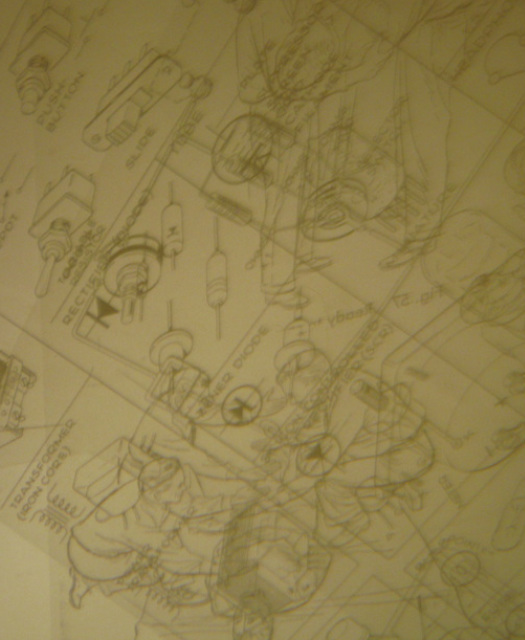 My project consisted of three parts. 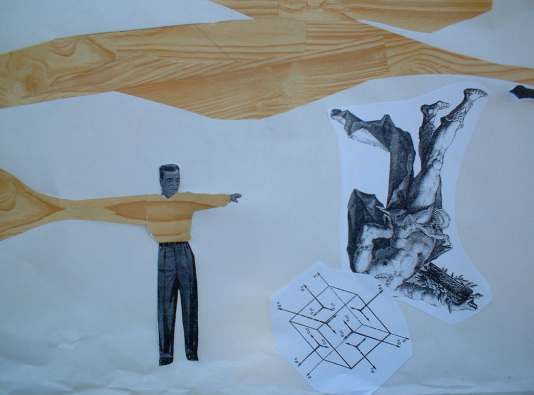 In-site projections, Freestanding figures and a communal collage. 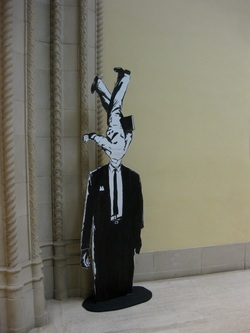 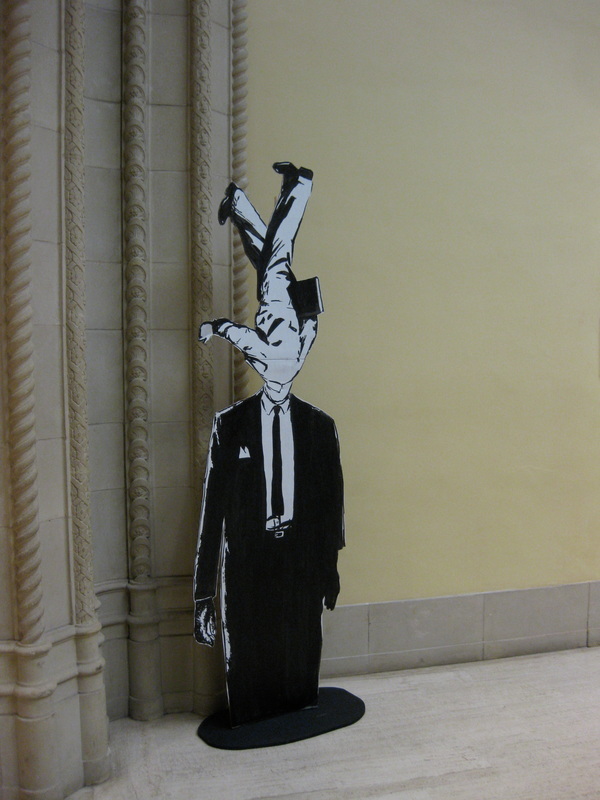 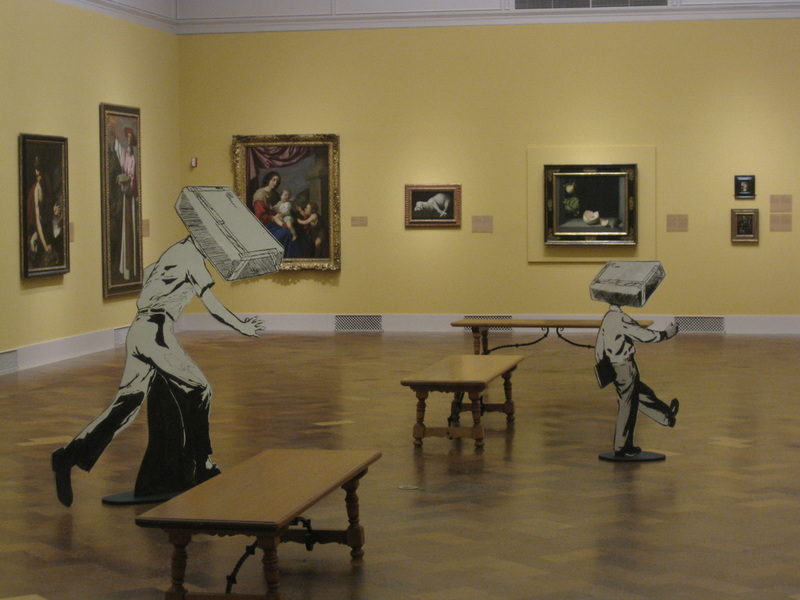 I created human size cut-outs of invented characters and place then in specific areas all over the museum. 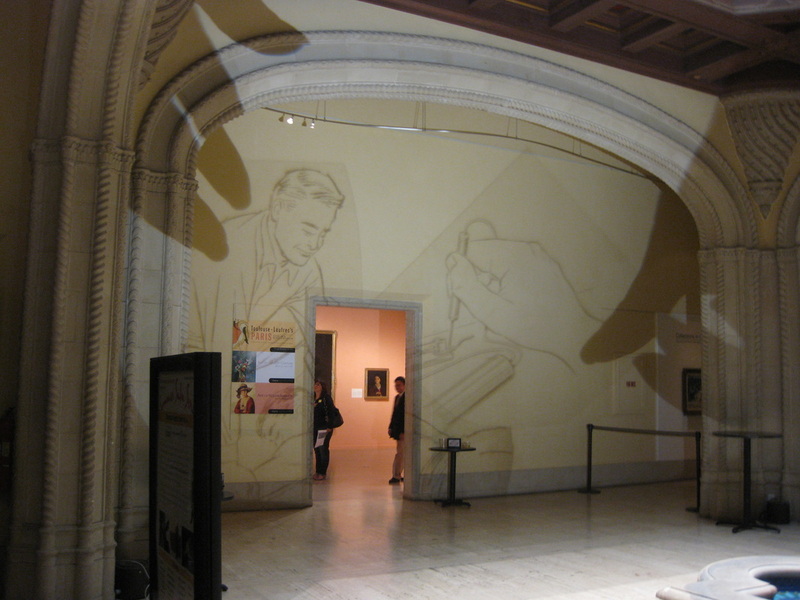 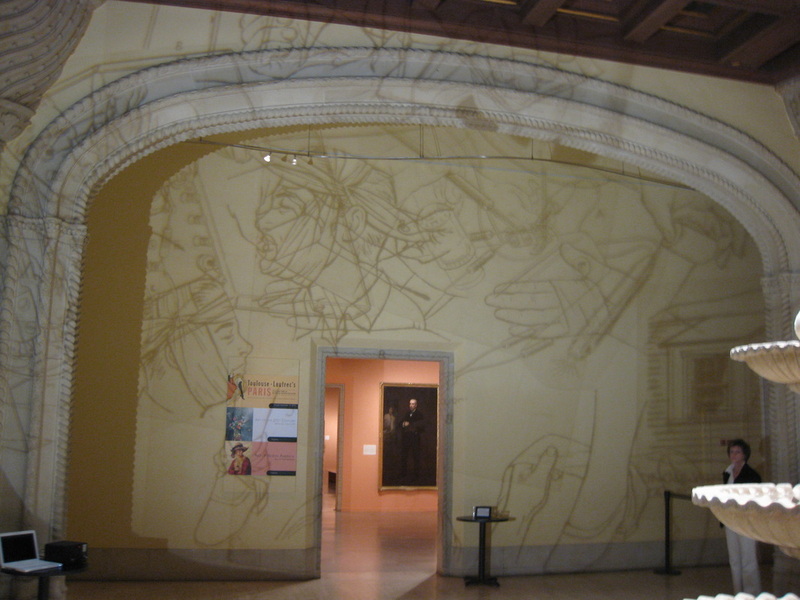 Collaged images projected on the walls in two different areas of the museum, modifying them during the event. 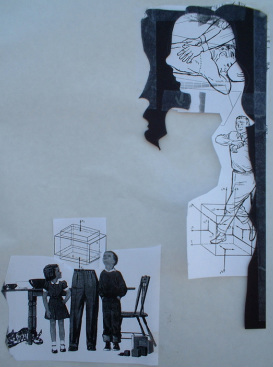 An integral part of my process is to develop ideas by making small scale collages. 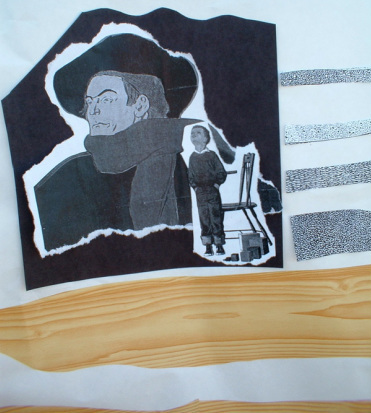 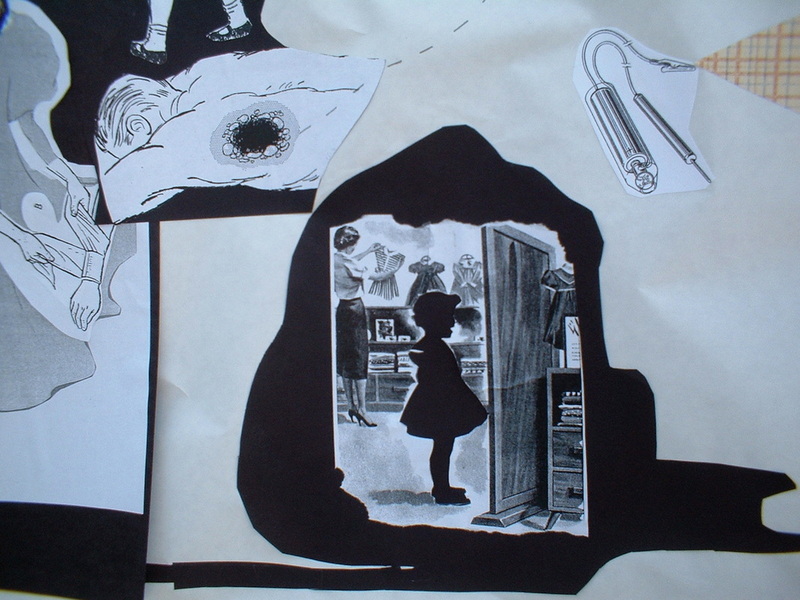 I wanted to share this experience with the viewers and set up a collaging station. 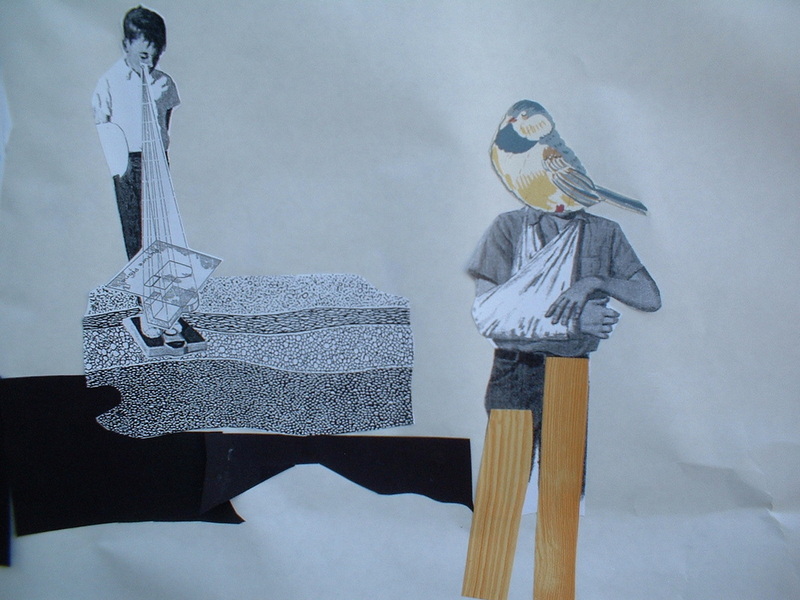 Every one was welcome to create a new collage, add, or respond to any existing image by adding a new section. 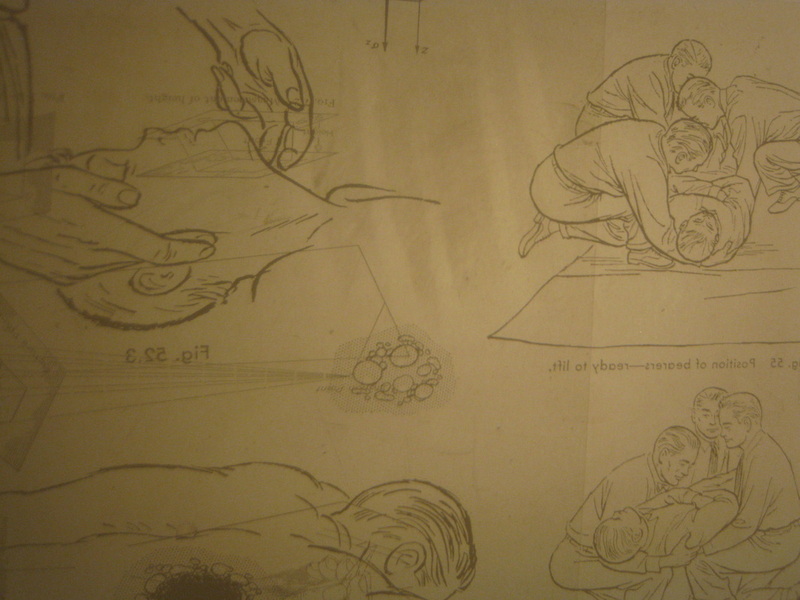 The images consisted of selected illustrations from primers, "how to books" used in my work and; images of current pieces in the museum collection.